PENNSBURY — A night of inspiration and fun will be presented Nov. 17 by Shake It Off for Parkinson’s. The License to Cure Gala event will be held from 6:00 pm to 11:00 pm at the Mendenhall Inn, Rt 52, Chadds Ford. 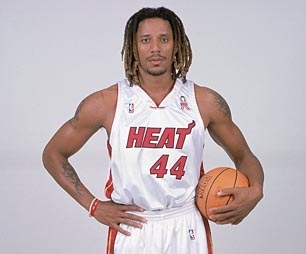 Brian Grant, a former star NBA player who was featured in the May issue of Sports Illustrated about his battle with Young Onset Parkinson, will be the keynote speaker. He will talk about his battle with Parkinson’s disease. Shake It Off is in its sixth year of fighting Parkinson’s disease and to celebrate, they will host the first ever, 0007, James Bond-style gala, License to Cure. This year’s event will take place on Saturday, November 17 at 6:30 p.m. at the Mendenhall Inn, Gold Ballroom. Guests will enjoy, photo op with a James Bond-like car, the Aston Martin, Casino Royal, drinks, dinner, silent auction items, dance and a special appearance by former NBA star Brian Grant. Shake It Off was co-Founded by local residents, Chris and Jodi Cianci in 2012 when Jodi was diagnosed with Young Onset Parkinson’s disease. She decided to forgo the traditional Parkinson’s medication route, which can have devastating side effects and instead focused on high intensity exercise to control her symptoms. After six months of exercising, Jodi noticed a difference in her symptoms. To date, Jodi has maintained an active exercise lifestyle. Shake It Off provides funding for Parkinson’s research, with a focus on exercise related therapies. Local organizations, such as the University of Delaware Parkinson’s exercise research have been a recipient of their fundraising efforts in the past. Shake It Off is a proud member of Team Fox at the Michael J. Fox Foundation. Dress to impress Bond-style and attend the License To Cure Gala while making a difference in someone battling Parkinson’s disease.